The Rossini was quite charming and enjoyable. I had none of the ensemble complaints of two weeks ago. The Haydn was just ok. Maybe that's the problem with Haydn. A concert performance of Vivaldi's The Four Seasons is an artificial construct made up of four different concertos, each consisting of three movements. This construct was created by Vivaldi himself when he published the four concertos together, named them La primavera, L'estate, L'autunno, and L'inverno--the four seasons beginning with spring. He also provided a written program [description] describing what was going on in the pieces which was printed in our program [distributed leaflet]. A program [description] describing the imaginary content of an instrumental piece was quite common in the nineteenth century, but not so much in the Baroque era. Berlioz was fond of these. When you walk along the Via Nazionale in Rome you might see a sign advertising a performance of this work. A program is not provided. In this Italian setting they rush quickly from one movement to another. That did not happen here. Pauses make it harder to follow exactly where you are in the piece. A solo violinist who is also the conductor waves his bow into the air to announce the end. This performance was excellent. 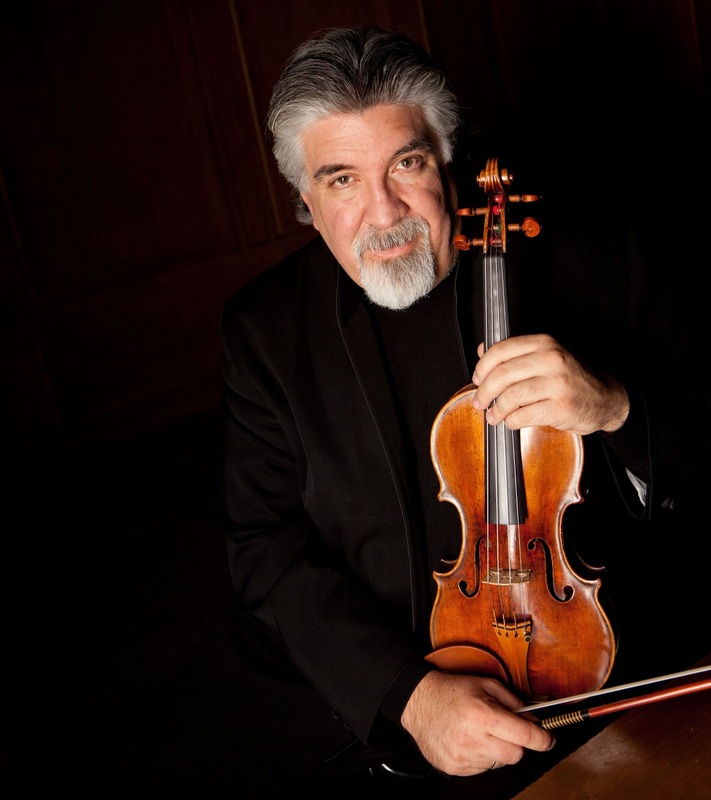 Our conductor/violinist loves his violins and works closely with them to provide a beautiful ensemble while doing an excellent job with his solo work. It is a tour de force which must be praised. I could hear him again.